Who doesn’t love quaint towns?? If you are in Italy or traveling there anytime soon, this list is a keeper. You will feel blessed to be in a country with so many varied choices of charming towns. Although this list is not exhaustive, it certainly includes many of my favorites. I will keep adding more to this list as and when I can. If you have any favorites, feel free to share more small towns in Italy. Now I now that Perugia is not really a small town but it isn’t a big city as Rome either. I love the cosiness this town brings with it’s annual chocolate and jazz festivals. Perugia is still quite unknown to a first time Italy traveler so take a chance next time you are in Italy and visit it. This town has a medieval piazza that will give Game of Thrones a run for it’s money. I hope it never gets run down by mass tourism and selfie sellers. Deep in the green heart of Italy and quite close to Perugia is Montegiove-another small town with an ancient castle, a single Bar and a historic convent of La Scarzuola. Need I say more?? For more details check this. The small towns in Italy list gets more interesting no?? Gubbio is a strange and charming town that belongs to the Pre Roman era. It has gothic architecture and a beautifully preserved Roman theatre at the entrance. Although slightly difficult to access as other towns in Umbria, there are regular buses to reach Gubbio from Perugia and the region of Marche. There is no train station. Tuscany has a special magic to it and there are countless towns in the region. Monteriggioni is one such town, off the beaten track from the usual towns of Pisa, Siena, Montepulciano, Volterra that most travelers visit. This Tuscan town is walled and has an old world feel with its small piazza. Liguria is filled with colored houses and a stunning expanse of the Ligurian sea. Now I know it is getting extremely popular because of the Cinque Terre, but travelers often overlook it’s neighbor Portovenere. This gem of a town is close to easy to reach by bus. It has a stupendous sea view, an old castle and history from the times of Lord Byron. 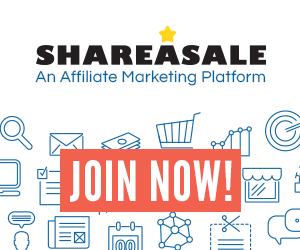 Check here to know more. This town deserves attention! Seriously! Only 30 minutes from the under appreciated city of Trieste, Muggia is precious. It has small yatches and Venetian architecture. The boats that clung to the harbor gave me an inkling of an Enid Blyton adventure. A town every chocolate lover must visit! 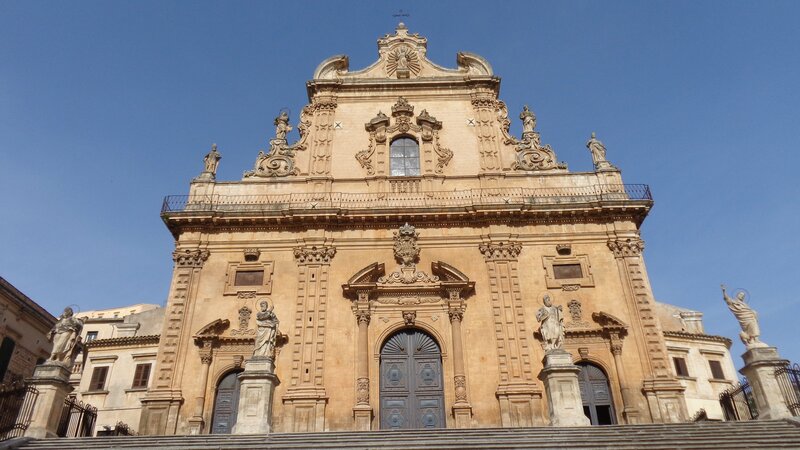 Situated in the diverse region of Sicily that puts the rest of the country’s diversity into perspective, Modica is almost tourist free (as of May 2015). The locals are usually home by 8 p.m. so it’s fun to wander the streets by yourself. 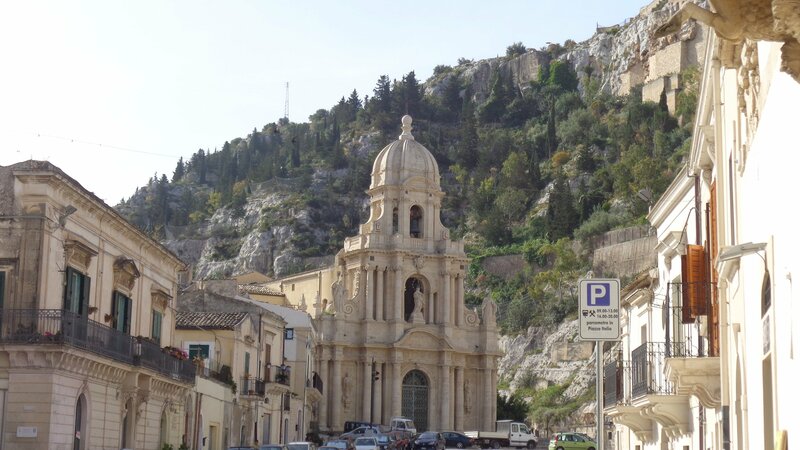 Another small town in Italy that needs attention from is Scicli. It is so quaint and forlorn that you could cry! It has ancient cave dwellings and crude cliffs and you might not see women at all! Men hang out at the piazza as women stay confined to their homes to gossip and cook (so I am told). Probably everyone’s favorite because of its colorful vibe, Burano is only half an hour from Venice. It is famous for handmade lace and bussola (a kind of a biscuit). According to legend, the island was colored since many centuries for fishermen to find their way in the fog. Perched on a hill top and filled with white lanes and maze like streets, Locorotondo will outsmart every other town you visit in Puglia. Make sure you have its local wine and visit the nearby olive groves and trulli homes in Alberobello. This small town in Italy will charm you! Most excellent, I’m saving these recommendations, I haven’t been to any of these yet – that is, any but Muggia which is a big surprise on this list. It lies on Slovenian-Italian border, has a Slovenian name ‘Milje’ and so far I’ve only passed it by. I’m glad that it made such an impression that you included it here! I hope so as well. And to one day reach Sicily! I can leave here my favourite Italian towns so far, not in specific order: Pitigliano, Sovana, Orvieto, Porto Ercole, Talamone, Lucca, Pienza, Tivoli, Volterra, Capalbio – because it’s my new home town. 🙂 I might make a post with my list. Thank you for the idea! And I don’t know Fiesole. 🙂 Everything around and above Firenze is still waiting. Handy list for future travels. I’d also recommend Feltre, north of Belluno in the foothills of the Alps. One of my aunts married a man from there and I went to visit his family on my first overseas trip as a young backpacker with a Eurail Youthpass and not much of a clue. That was many many years ago but I am sure it is still a lovely town. Thanks so much Pedrol. Have you been to any of these? I was there in October! I hope to come back next year! Thanks for the list! We loved Locorotando! You are correct, this town surprised us with it’s beauty! Thanks so much for enjoying it 🙂 Indeed. I too did. Fantastic post! 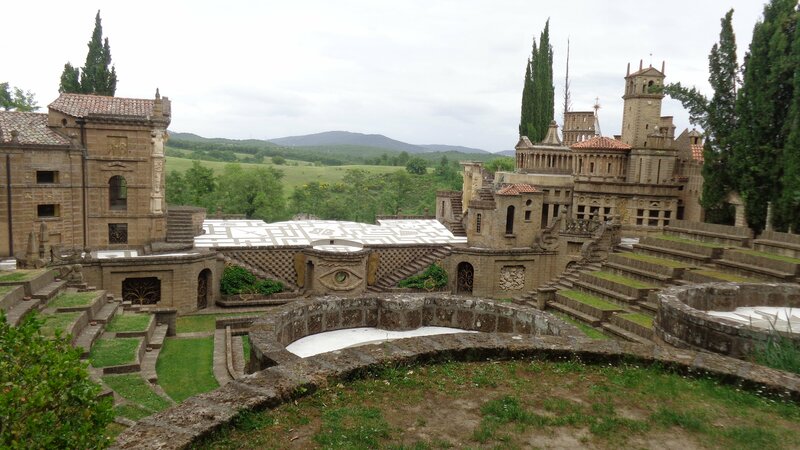 I have only been to one of those — Monteriggioni. <3 Love that sweet little town. Benfatto, Cara! Thanks so much cara :* it is a beautiful town. Grazie! What a wonderful collection of photographs for a wonder grouping of towns to visit. I have followed your blog and will keep these in mind for my next visit. Thanks so much 🙂 I hope you enjoy visiting these towns as much as I did! 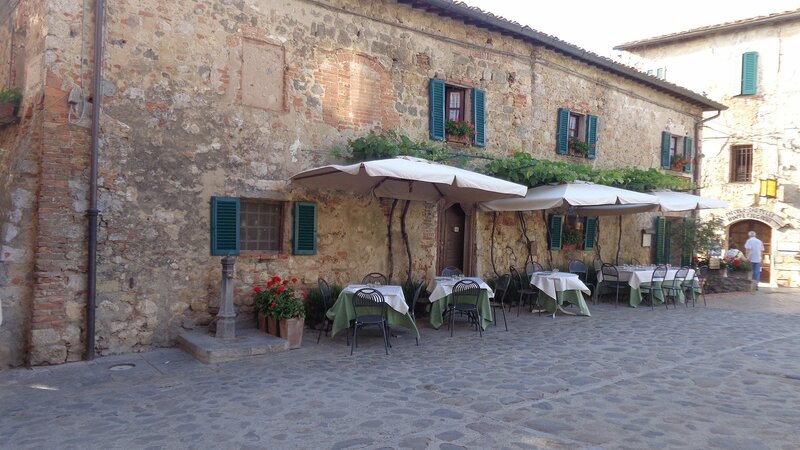 Thank you Lyn.. true… I want to go to several of those Tuscan gems near Lucca next. Thanks for this. So far, I’ve only been to, although we liked Lido almost as much, with it’s beach so close to Venice proper. I echo the others – how did you pick just 10! Wow – great discipline! I love that you’ve picked so many off the main tourism tracks. I’d like to add towns that some people may avoid because of the recent earthquake activity but hopefully will not permanently avoid like Norcia, Camerino, Tolentino, Cingoli, Sarnano, Macerata, Ascoli Piceno. The Le Marche region has been my biggest surprise and delight. Thanks for the lovely post, Ishita! It’s so great that you chose these off-the-beaten-path destinations: in Italy we just have TO MUCH STUFF and lots of beautiful towns are sadly overlooked. If you’re into medieval towns, I would suggest the walled cities of Cittadella and Montagnana (near Padua) or San Leo and Urbino (natal town of Raphael and seat of the Montefeltro family, in Le Marche). In the neighborhood there’s also Gradara, which is famous among Dante’s readers for Paolo and Francesca’s love story (they were put in the Inferno, if you’re familiar with La Divina Commedia). Too many little jems to see in a lifetime, TOO MANY!! A great list Ishita, and a few there I haven’t visited so must put them on the list.Lots of lovely towns around Umbria, but Perugia is rather a large town or is it a city? 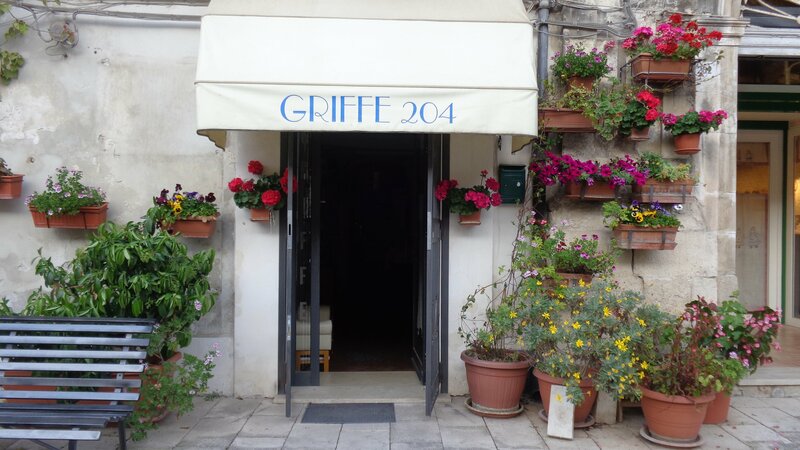 We stayed in Spello last time, a gorgeous little place to add to the list. Absolutely Francesca. I was a bit confused about Perugia being a town or a city but went ahead and added.. it’s very special to me since it was my first town abroad that I traveled solo. Spello for next time! Perugia also has some great Italian courses for ‘stranieri’.A great city to study in. Ah, lovely! I have been to a number of these, but got some more ideas now! I am glad I could give some 😉 any more from your side? I have another list coming up next month. Have you ever been to a strange little hamlet on the Piano Grande, Casteluccio? Haha I know what you mean. It is so so lovely. Great post! Thanks! We have only been to two of them: Perugia and Locorotondo and loved both of them. Thanks George 🙂 I know you love Puglia! Awesome list Ishita!!! Gotta agree with all of these but Perugia was a real surprise! Thanks a lot 🙂 haha. It is special to me because it is my first town as a solo traveler. Ah you went to La Scarizola – we did not realise that we had to phone in advance, and then it was too late to go back……next time. Is the ‘Piazza Grande’ photograph take at Gubbio? If so, I want to go. You have me planning my next trip. I am very very busy at the moment, hence not a lot of activity on here. These are beautiful pictures. That colorful city is awesome. <3 thanks babe. I try but not just yet 😉 Thank u! Oh no 🙁 It is so beautiful maybe it is meant to be at the right time (give it at least 2 nights) 🙂 Thank you! I am taking you have stayed in the place ?? Great post! Amazing towns and beautiful pics, and Gubbio is on the list, it is less than 20km away from Costacciaro where my family (at least on my father’s side) hails from! Very cool!! Thanks Tony. Gubbio is such an interesting town really .. Only a few months before you are finally there! Thanks so much 🙂 I haven’t yet. I think Tuscany gets its fair share of attention so il probably keep it to the last. Haha. But noted! Thanks for sharing this list! I’ll definitely use it the next time I travel to Italy. I also found Pienza very charming and lovely, have you been? This post is brilliant! There is so much more to Italy than just the main destinations! Thanks a lot Eva. Grazie.. any towns from your side to add to the list? Volterra is already on the list. I will 😉 grazie! We must have missed the delights of Muggia. We called in there on our way to Croatia and couldn’t wait to get out. I would add Orvieto and Spello. Yay!! That is the best part.. Recently a fellow blogger who has been following me since years went to Muggia. It is one of these lists I made.